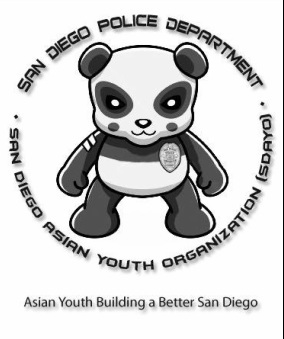 The San Diego Asian Youth Organization (SDAYO), was founded by the San Diego Police Department in 1995. It is a non-profit organization located inside the San Diego Police Department’s Multi-cultural Community Relations Office next to Colina Del Sol Park. SDAYO brings together a diverse group of teenagers and provides them with the resources necessary to give back to their community. The members participate in cultural and civic activities as well as community service events all around San Diego. The youth also learn more about issues in their world through the many guest speakers and educational workshops offered through SDAYO. During summer, they are then rewarded for their hard work and dedication by being able to go on field trips to places like Disneyland, Six Flags, and Universal Studios (for free!). SDAYO not only teaches leadership and communication skills but also motivates teens to do things that benefit their future instead of turning to drugs and gangs. Teenagers who participate on a regular basis receive recognition from police officers as well as various other community leaders. They are also given the opportunity to partake in a variety of internships and programs that will help them gain work experience, build their resume, and get into the college of their dreams. NAPAWF-San Diego Officially Endorses Props B and C!